Now that you've setup your account, imported your first customers, you are now ready to build or transfer your website onto PeopleVine so you can build your business. 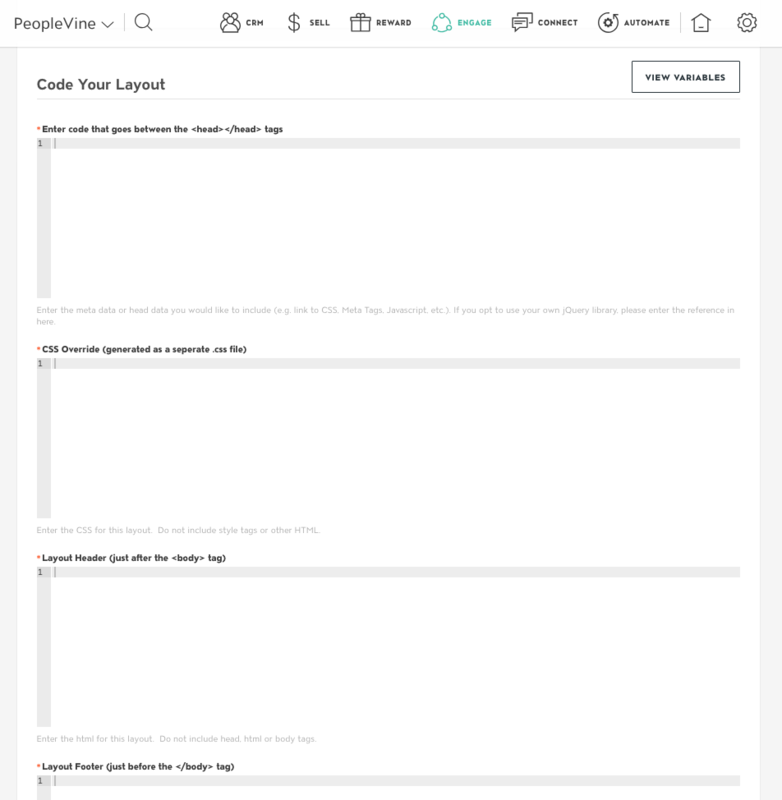 Once logged into PeopleVine Select Manage Layouts under Engage. PeopleVine layouts accept html for layouts just as you would in an index file. You can link any dependencies in the <head> if needed. Be sure to upload them prior to building the layout so you can link to them. 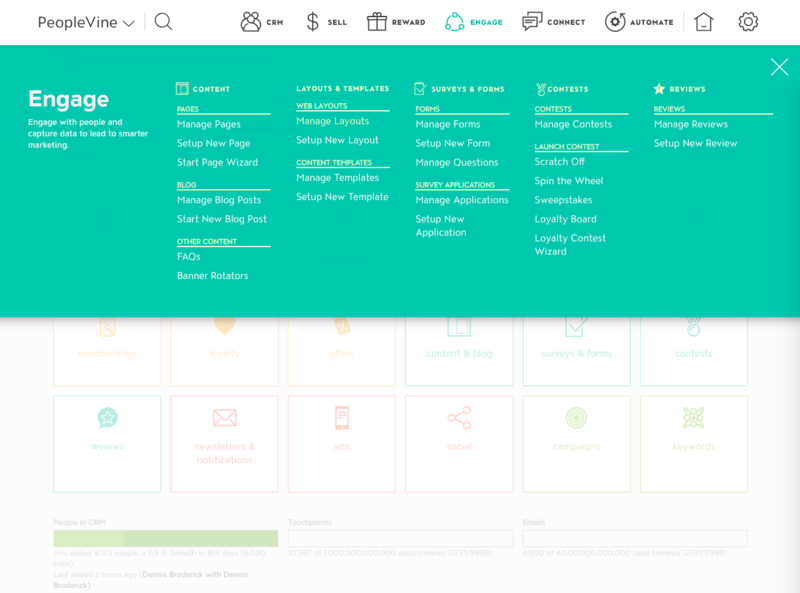 If needed PeopleVine can load standard frameworks such as JQuery and Bootstrap. This layout can be used for you marketing website, customer portal, or storefront. 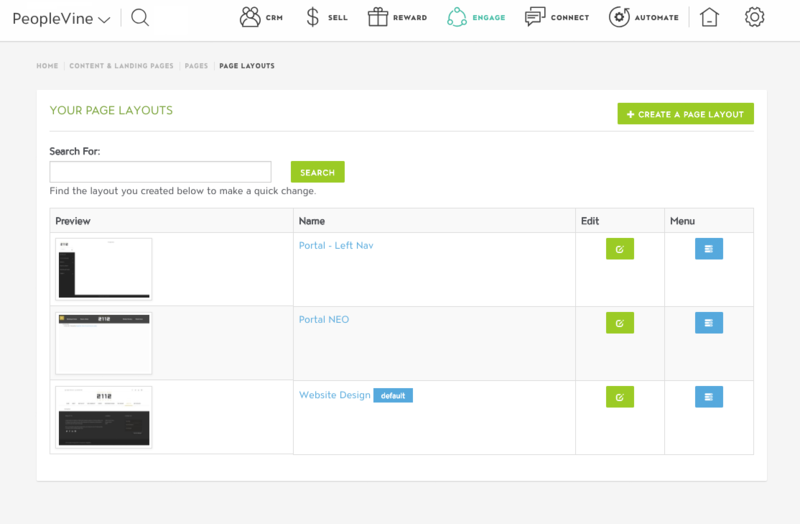 You can even create multiple layouts for use on specific pages within your website. If you are transferring an existing website be sure to use the media uploader to upload all the existing assets and dependencies before adding in the <header> and <footer>.